Nature does amazing things with limited design materials. Grass, for example, can support its own weight, resist strong wind loads, and recover after being compressed. The plant’s hardiness comes from a combination of its hollow, tubular macrostructure and porous, or cellular, microstructure. These architectural features work together to give grass its robust mechanical properties. 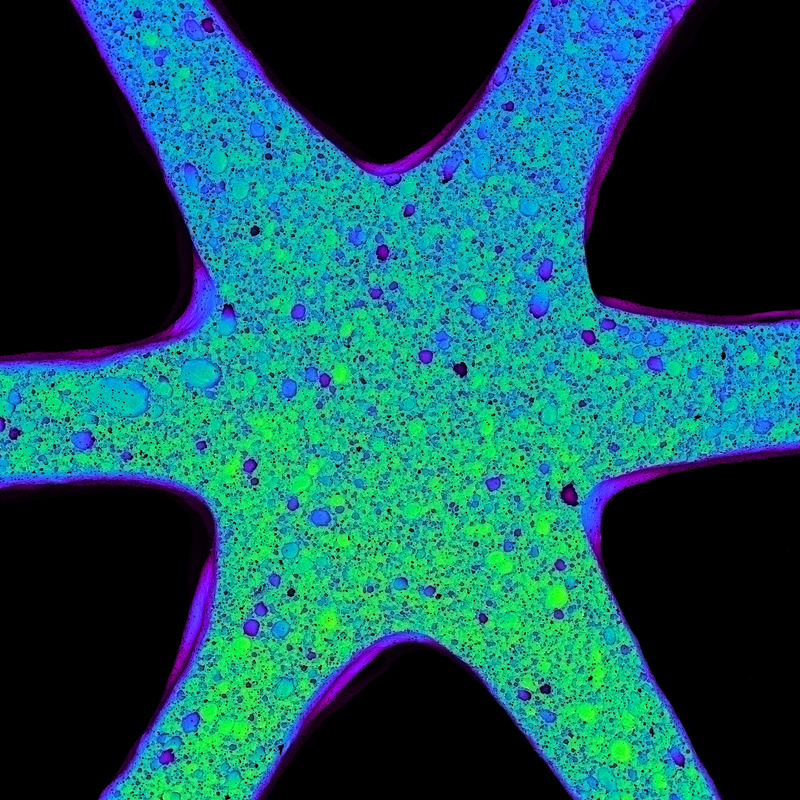 Inspired by natural cellular structures, researchers at the Harvard John A. Paulson School of Engineering and Applied Sciences (SEAS), the Wyss Institute for Biologically Inspired Engineering at Harvard University, and MIT have developed a new method to 3D print materials with independently tunable macro-and microscale porosity using a ceramic foam ink. Their approach could be used to fabricate lightweight structural materials, thermal insulation or tissue scaffolds. The research is published in the Proceedings of the Natural Academy of Science. “By expanding the compositional space of printable materials, we can produce lightweight structures with exceptional stiffness,” said Jennifer Lewis, Hansjorg Wyss Professor of Biologically Inspired Engineering at SEAS and senior author of the paper. Lewis is also a Core Faculty Member of the Wyss. The ceramic foam ink used by the Lewis Lab contains alumina particles, water, and air. By controlling the foam’s microstructure, the researchers tuned the ink’s properties and how it deformed on the microscale. Once optimized, the team printed lightweight hexagonal and triangular honeycombs, with tunable geometry, density, and stiffness. “We can now make multifunctional materials, in which many different material properties, including mechanical, thermal, and transport characteristics, can be optimized within a structure that is printed in a single step,” said Muth. While the team focused on a single ceramic material for this research, printable foam inks can be made from many materials, including other ceramics, metals, and polymers. 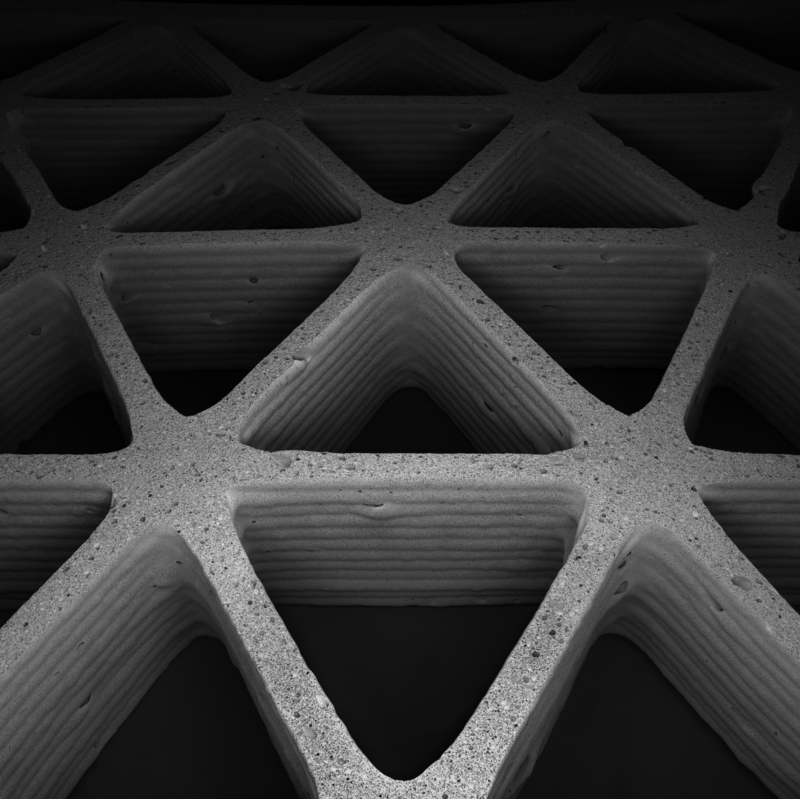 “This work represents an important step toward the scalable fabrication of architected porous materials,” said Lewis. Harvard’s Office of Technology Development (OTD) has filed a patent application and is considering commercialization opportunities. This research was coauthored by Patrick G. Dixon and Logan Woish. It was supported by the National Science Foundation and the Harvard Materials Research Science and Engineering Center. Close up image of one node of the triangular honeycomb. The structure, which consists of air surrounded by ceramic, can be designed with specific porosity. Harvard and MIT researchers 3D printed lightweight hexagonal and triangular honeycombs (pictured here), with tunable geometry, density, and stiffness using a ceramic foam ink. Their approach could be used to fabricate lightweight structural materials, thermal insulation or tissue scaffolds. Direct foam writing of a hexagonal honeycomb with ceramic foam ink. After the ink solidifies, the resulting structure consists of air surrounded by ceramic on multiple length scales. The porosity of the structure at both micro and macro scales impacts the structure’s properties.